WASHINGTON (Reuters) - U.S. Senator Bernie Sanders and Representative Elijah Cummings introduced legislation on Thursday aimed at lowering the cost of prescription drugs for American consumers, critiquing President Donald Trump administration's efforts to curb medicine prices. "I say to the president: No more talk, no more tweet. No more commotion, emotion and motion and no results," Democratic Representative Elijah Cummings said at a news conference on Thursday. Cummings became chairman of the House Oversight Committee after Democrats regained control of the chamber this month. "Americans want government to help them. 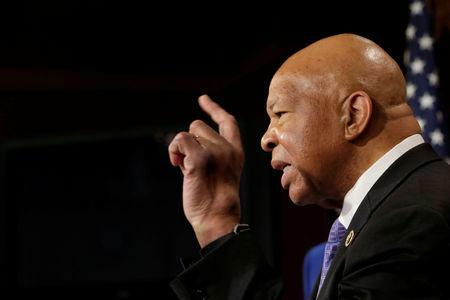 And this is something you can do to help all Americans," Cummings said, addressing Trump. 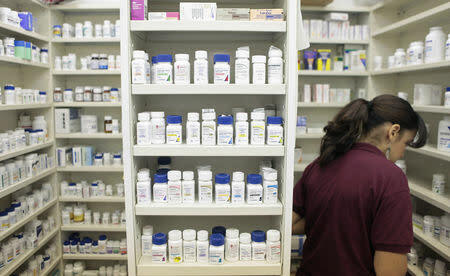 Several pharmaceutical companies temporarily froze prices on select drugs last year. But drugmakers raised prices on more than 250 prescription drugs, including the world's top-selling medicine, AbbVie Inc's Humira, to begin 2019. That is similar to a proposal the Trump administration said it plans to put forth in the coming months that would create an "international pricing index" to help the cost of prescription drugs to Medicare more closely align with other countries. The government health insurance program covers more than 40 million older and disabled Americans. Drugmakers opposed Sanders' and Cummings' legislation, arguing that it was not the right way to address prescription drug affordability. Pharmaceutical companies have long argued that price controls in the United States would stifle innovation and that importing drugs from other countries is unsafe. 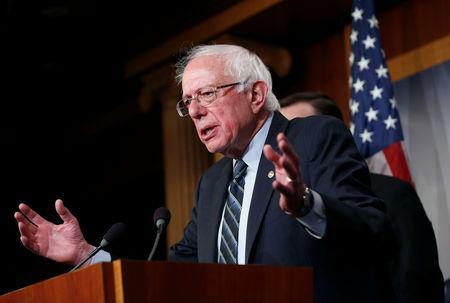 "The proposals from Senator Sanders would wreak havoc on the U.S. health care system," the Pharmaceutical Research and Manufacturers of America (PhRMA), the industry's top U.S. lobbying group, said in a statement. "They would interfere with patient access to medicine, while also undermining the U.S. intellectual property system, replicating the flawed policies of foreign governments and circumventing the U.S. Food and Drug Administration’s robust safety standards," the group said. "While Americans cannot afford the prescription drugs they desperately need, the pharmaceutical industry year after year makes huge profits and pays an outrageous level of compensation to their CEOs," Sanders, an Independent who caucuses with Democrats, said Thursday at a news conference. Health and Human Services Secretary Alex Azar has been defending the administration's efforts to lower drug prices. "(Trump) and I will not stop our work until list prices go down," Azar wrote on Twitter on Wednesday.